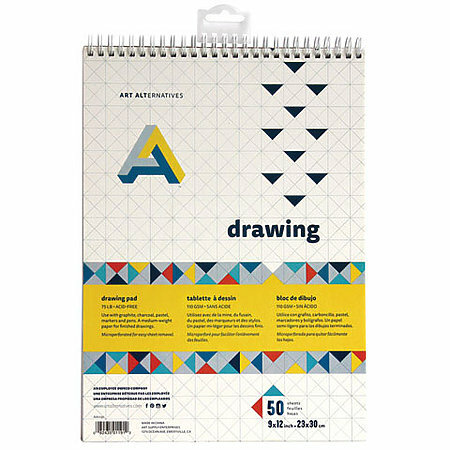 This spiral-bound drawing pad contains 50 sheets of 75 lb. (110 gsm) acid-free paper, and is perfect for use with graphite, charcoal, pastel, markers and pens. The medium-weight paper is ideal for finished drawings. Sheets are microperforated for easy sheet removal and sized to be a full 9" x 12" after removal.